Our flagship beer is Red Seal Ale, malt and hops are beautifully married in this full-bodied, copper-red Pale Ale. 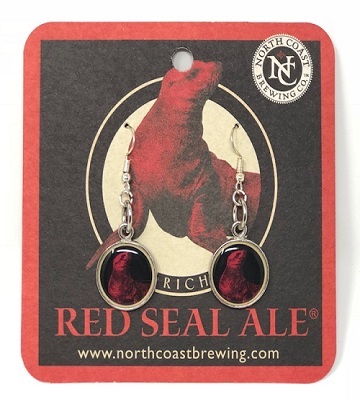 What better way to show your love for this great craft beer than to wear a pair of Red Seal charm earrings? Or, perhaps these would make a great gift for a friend.